Another week, another episode of The Expanse, and, another TC. Oh remember, you heard it here first that the Expanse was going to be picked up by Amazon. Speaking of Amazon, this article on Engadget caught our eyes. 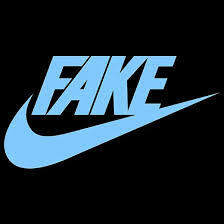 FAKES! Apparently there's a lot of stuff on Amazon that is fake. I remember eBay dealing with that a lot when I was a seller back in the late 90s and early 2000s. I promised my Russian friend Dan that I'd mention him, and The Warlock in Spite of Himself series. I have now fulfilled my contractual obligation. I bet we talk about Altered Carbon. It's just a guess, but I bet we do. Visit Elne France, those poor people.